Mav and Mr. Pie have been locked away in a room at Bourbon Gents HQ and were told they could not come out until they had decided upon their Top Ten single barrels. It has now been 2 months and a lot of arguing later (Mav has even grown quite a nifty beard now too) and they have finally come to an agreement and been allowed to leave. Maybe a surprise entry to some, but not to the Gents themselves. This is a great drink at a very reasonable price. As we said in our review - If you’re not a fan of the standard black label No. 7, then please don’t be put off trying this expression. It's a big step up from the regular old Jack, in fact, we wouldn't let a splash of Coke anywhere near this one! Trust us, give it a try. Now the Gents don't like to add things to the list that they haven't sampled themselves but we should point out that there are 2 drinks on this list that we have only tried once. This offering is one of them. It might have been higher up on the list had we tried more but, from our sample, it was a solid bourbon full of chocolate, burnt sugar and oak. A trio of flavours that Mav can't help but like. Hard to find in the UK but worth a punt if you come across one. 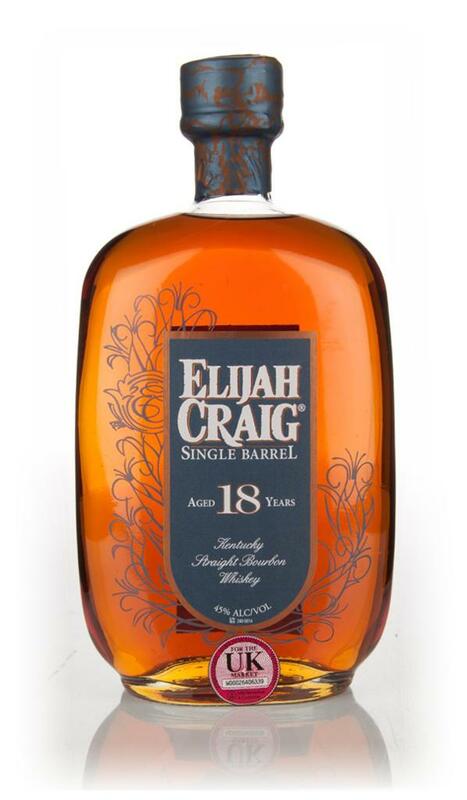 We have said this before and we will say it again, both Elijah Craig's Barrel proof and single barrel offerings blow the standard EC bottling out of the water, and it's hard to go back once you have tried either of its big brothers. We thought this one might end up a bit higher up the list but overall it was just a tad too expensive to justify beating some of the others that offer just as much character at a much better price. Really Gents? Really? Well yes actually. We know there is not a lot of love for this one out there on the internet but if you give it a chance we think you will be pleasantly surprised. Full of citrus and Werther's Originals (butterscotch) on the nose, and vanilla and dried fruit on the palate. Plus if you don't like after you try it then just think of it as having bought a very nice decanter. We put our hands up on this one. Only tried it once at the end of a very heavy night so we can't do it justice on this list. However, the rest of the internet can. An extremely well-loved bourbon that has nothing but 5-star reviews on our go-to online whiskey store (Masters of Malt), so take their word for it rather than ours. We look forward to sampling this one again sometime and enjoying it more. We love the regular Knob Creek (based on the 9 year age statement bottlings) so it wasn't a big surprise to us when we also loved the single barrel. This is essentially a more intense version of the small batch. Every note or flavour you find in the single barrel is just a more enhanced and focused version of its little bro, and at this price, you can even afford to have this as an everyday sipper. We can highly recommend it. For some reason, you don't see Evan Williams Single Barrel much on social media or in the general bourbon chatter on the internet. You certainly don't see it in UK bars, which is odd because it's bloody amazing stuff. We are talking specifically here about the 2004 bottling as that's the one we own, but wow is it good. Plenty of Oak, toffee, nuts, and fruit to be enjoyed on the nose and palate. The only downside to this bourbon is the low percentage which, while not an issue for Mr Pie, did slightly underwhelm Mav. This would probably be number one on the list if it was up to Mr. Pie alone. The daddy of the single barrels and one of the most iconic. We're not sure we need to say much about this bourbon, due to its immense popularity most bourbon lovers will be very familiar with it and probably own a bottle already. So we will just sum it up as Mr Pie did in his review - Love the bottle, love the juice, love the Blanton’s. We talk about this bourbon so often it may as well just officially become the 3rd Bourbon Gent. It's hard to keep coming up with new superlatives for the Four Roses Single Barrel so let's put it this way - we run a bourbon World Cup each year and this bourbon has never lost a match, not a single one! 2 World Cups in a row and it's never really looked in danger of losing. That's pure class. 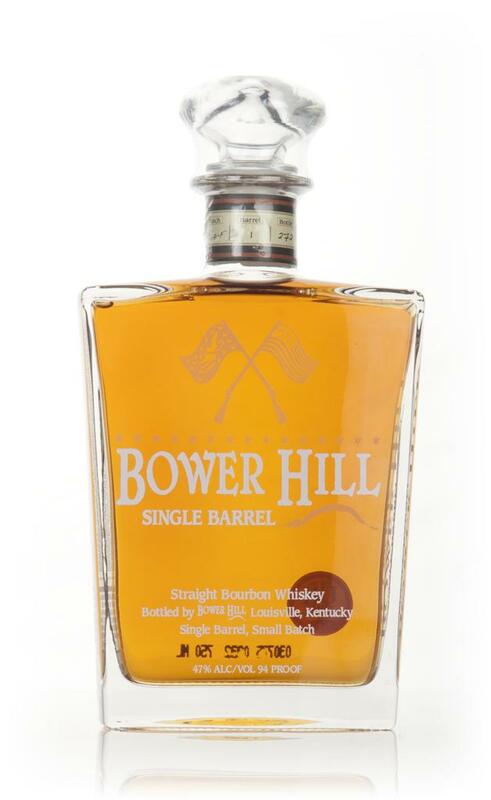 The second time in a row this bourbon has placed at number one, having previously been top of our Top Ten under £100. The quality is evident in every single sip. It has everything you want from a bourbon - complexity, balance, strength, and a finish that just doesn't quit. If you need to convince a whisky (scotch) drinker that bourbon is it's equal (not that you should need to) then this is what you put in front of them. A master class of a single barrel. We salute you Colonel.